Several years ago when my granddaughter, Fallon, was about four years old, she was addicted to the movie Romy And Michele’s High School Reunion. She watched that movie faithfully every day and could recite almost every line from it. While watching it with her and her mother I was taken by a young actress who was an obvious standout in the role of “Lisa Luder”. She was the only member of the high school clique who had grown past their “in crowd” high school years, made a good career for herself and had the courage to stand up against her former “BFFs” in defense of Romy and Michele. She was not only beautiful, but intelligent and sassy. It wasn’t just the role. It was an intelligence and sassiness that transcended the role. I remember telling my daughter, Melanie, “There’s something special about that girl. You wait and see, we’ll be seeing a lot more of her.” Always appreciating a fine actor, I began to follow her career. The next year we saw her as the nightmare, self-centered, spoiled, soon-to-be step mother in the 1998 version of The Parent Trap. That gifted actress is Elaine Hendrix and since the time that I started following her career her resume has grown to read like an encyclopedia of great roles in film and tv. It has also grown to include a musical career, becoming an author, director, producer, international speaker and her most cherished role of animal rights activist. She’s everywhere from being “Agent 66” in Get Smart to “Renee” in the new 90210 to traveling the globe and being out in the field rescuing desperate, abandoned and abused animals. I first met Elaine a couple of years ago when she had worked on a project with my daughter, Christa. I had written and produced a play in Hollywood that dealt with human rights, gay marriage and self-acceptance that had been nominated for an NAACP Theatre Award. Elaine was the first person who believed in me and my work and along with encouraging me to find a way to make the play into a film, introduced me to wonderful people in the industry who guided and assisted me and who remain dear friends to this day. I will eternally be grateful to her for being the first one to believe in this green little country girl with a dream. But that is so like Elaine. When she believes in something or someone, she is there for them. She’s a put your money where your mouth is kind of girl. I am a devoted advocate of Animal Rights causes and am so very impressed and taken with the work of the Animal Rescue Corps that I asked Elaine if we could chat about it here on the blog so that I could share this wonderful organization with all of you. I hope that our conversation will not only teach you about Animal Rescue Corps, but compel you to share this information with others. It is my hope that through spreading the word that we will find more people who care, who want to become volunteers for ARC, to donate time, money, and other resources. I hope you enjoy our chat. THERESA SHELL: You are the antithesis of the public’s image of the stereotypical, vapid, beautiful, blonde movie star. You are an intelligent, grounded, proactive, accomplished woman. What are people’s reactions when you show up in uniform for Animal Rescue Corps? ELAINE HENDRIX: Well, thank you. I get people all the time who are astounded that I’m actually in the trenches working with animals and not just talking about it. To me, I don’t think about it. I would give anything not to have a reason to help animals, but since I do – it’s my love and passion. Any celebrity I have is a bonus in spreading the word, otherwise I’m a regular team member and not above cleaning cages filled with poo. In fact, I’ve done it MANY times. THERESA: You have had a very successful, busy year with your acting career, have been involved in supporting GLBT and Human Rights causes and all over the map working for Animal Rescue Corps this year? How in the world do you do it? ELAINE: It’s easier for me because I don’t have many major responsibilities like kids, a husband or a house, and I have amazing support for what responsibilities I do have, so all my spare focus goes to my causes. It boils down to priorities. I like creating a sense of expanded world-wide family, and working with organizations I believe in gives me that opportunity. THERESA: You are one of the founders, a director on the Board and the Director of Marketing and PR for Animal Rescue Corps. How did you get involved? ELAINE: I’m a Founding Officer, a Board Member and I’m working more with business development given the connections I have and make during all my projects and travels. Scotlund Haisley, ARC’s President and Founder and I met working with another organization and officially formed ARC with two other officers (Tim Woodward and Mark Herrick), other founding board members (Kristina Bowman and Karen O’Connell) and a a dedicated, small staff and group of core volunteers. We all came together to form what I like to call the “super team” of rescue teams. Our supporters are incredible and I’m so proud of the work we do. THERESA: There are other animal rescue groups out there, but Animal Rescue Corps is different. How? ELAINE: We focus solely on rescue and all aspects of rescue. And while we believe in other animal issues, we don’t engage in campaigns or practices that step outside the animal rescue realm. Ultimately, we’re a turn-key solution for everything involving animal rescue and protection. We also specialize in all species, larger numbers of them, and any harmful or dangerous situation they might themselves in; and in doing so we provide the needed resources communities don’t have to handle such circumstances. THERESA: I was most impressed when I read that Animal Rescue Corps works with law enforcement agencies in their rescues. Can you tell us about that and it’s purpose. ELAINE: ARC’s purpose is to make lasting change within communities from the inside out. Working with official law and/or government representatives is imperative in doing just that. Plus, we’re not some rouge group. We’re methodical, thorough, extremely well organized and certainly legal. We are effective because we don’t have any partisan or radical agendas, and law and government agencies recognize and appreciate that, as do community citizens. THERESA: Knowing you, I was not surprised that you are not just a figure head for the organization, but are out in the trenches, so to speak, rescuing animals. Why is it so important to you for you to be hands on? ELAINE: I am hands on for several reasons: I love working directly with the animals…I love doing physical activity…I love making a tangible difference…it exercises a different side of my brain…I like having structure and a protocol to follow…and I love our team and the people with whom we work. THERESA: I’ve always known you to be an animal advocate and you have pets of your own that you have rescued. One being the wonderful Goody Cornbread, your cat you rescued when filming Good Intentions. Did this help spur you to become involved in animal rescue in a larger way? ELAINE: I was already into animal rights when I found Goodie. And he was like the 4th animal I had rescued and became a guardian to – with a dog and two turtles preceding him. Now, of course I’ve done A LOT more rescuing and have 9 animals total in my pack. THERESA: You recently shared a photo where you were helping treat a rescued animal in a veterinary clinic. It was such a moving photo. How does it feel to know that you are helping to save so many innocent lives? ELAINE: There is no other feeling like it in the world. It’s exhilarating, heartbreaking, life-affirming…I could go on and on. THERESA: When Animal Rescue Corps makes a rescue, how is it paid for? ELAINE: We receive donations, sponsorships, grants, partnerships, etc. – pretty much all traditional ways non-profits pay for activities, and we’re always looking for new fundraising methods. We want to engage people and their communities to invest in compassion. Of course, we’re a 501(c)(3) so all contributions are tax-deductible. THERESA: Can people donate to Animal Rescue Corps? THERESA: Has there been any one rescue that has been your most special memory to date? ELAINE: Each rescue is different and has it’s own specialness to it. I particularly enjoy working with the medical team. I did that for the first time on the Lac Simon rescue in Canada. It gives me a chance to live out my fantasy of being a veterinarian. I learn so much, and I love handling the animals directly – helping to see they get the care they need. THERESA: What should a person do if they are aware of animal abuse or hoarding? ELAINE: If it is an individual animal or a small number of them – call your local animal control, law officials and/or rescue groups. If it is a larger number of animals – definitely contact Animal Rescue Corps: [email protected] This goes for natural disasters as well. THERESA: Animal Rescue Corps is located in Washington, D.C. If someone wants to become a volunteer, do they have to be from Washington or can they be from anywhere in the U.S.? ELAINE: We conduct missions all over North America, so no, you don’t have to be located in Washington DC. To volunteer send an email to [email protected] and we’ll add you to our list. People with training are the first to be notified of deployments. We start our own series of training courses in 2012, so also check in with us then if you are interested in learning more about professional rescuing. THERESA: Does Animal Rescue Corps also rescue animals in Canada? ELAINE: We rescue anywhere that larger numbers are in need. This includes Canada and beyond. All anyone needs to do is contact us and we will certainly do what we can. We have far reaching resources. As an example, we have a South Korean liaison working with us on some cruelty issues over there. However, the bulk of our work is located mainly in the US, with Canada being second. THERESA: I understand that Animal Rescue Corps does not arrange direct adoption of the animals they rescue, but that they do have adoption partners who adopt the animals out. Can these adoption partners be found on the Animal Rescue Corps website? ELAINE: With each rescue mission we list every partner we’ve worked with on that mission and how to contact them. We do this on our website, facebook and twitter. We also post follow up stories. This work is about being collaborative and working together. That’s the only way animal abuse and neglect is going to end for good. THERESA: Why is it so important for people to consider adopting a rescue animal before buying one from a breeder? ELAINE: This is one of the easiest ways to help the 4-6 MILLION animals who are killed every year just because they don’t have a home. 25% of which are pure breeds…and the rest, incredible mutts! A lot of people think that sick and damaged dogs end up in shelters and rescue groups. Nothing could be further from the truth. You are far more likely to get a sick dog from a pet store or an unethical breeder. And then no matter where you get your pet from – have them spayed or neutered asap. This is other super easy way to help the 4-6 MILLION homeless animals killed in our city and county shelter systems every year. THERESA: Recently on the “Today” show I saw a segment about finding dog breeders online. It was about a company called Pure Bred Breeders who runs 900 websites that make it appear that they are local breeders from your area. When a person wants to see the puppies, they say that the breeder does not want the puppies upset by visits that it’s not healthy for them and they send pictures and guarantees of health, pedigree, etc. These dogs sell for thousands of dollars. It turns out that this company is based in Florida, works out of an unsigned storefront and is just a distribution center for puppy mill dogs. The animals often arrive ill, not what they were guaranteed to be and over bred. Some have died within days of arriving. Others causing enormous veterinary bills. Should anyone consider purchasing a dog online or sight unseen? And what can be done about a company like this that is representing numerous puppy mills? ELAINE:This is a complicated issue and one that requires a more in depth answer; however, the short of it – ADOPT. There is no need to pay 1000s of dollars for a dog or a cat or any animal (because there are cat mills out there too, as well as bird mills, rabbit mills, etc.) You can go to a shelter or a rescue group and anywhere from $30-300 (depending on the group) leave with a happy, healthy animal who is fixed, has their shots and is microchipped! As for getting involved with shutting down puppy mills – again don’t buy. ADOPT. And then support organizations like Animal Rescue Corps who are doing something tangible and active to shut puppy mills down. They are evil places that breed larger number of dogs (50+) at every heat cycle, leaving them in small wires cages with little to no care or attention, food or water…the dogs are merely machines to turn out puppies for a profit. Once they can no longer breed they are killed, usually inhumanely. Anyone who questions this – I welcome them to join ARC. THERESA: Is there anything else that you could share with us that can help us be better protectors of animals or anything else that you wish us to know about Animal Rescue Corps? ELAINE: There’s always more to share, but the biggest thing I can say is – get involved! Get educated. Compassion is unlimited, we just need to chose to practice it. Helping animals expands our awareness of and capacity for compassion (and not only the animals, but for each other). And I for one think this world can use all the compassion we can get. I know the animals can. I think that you all can see why I admire Elaine so much. Her devotion and compassion to animals is so deep. She is determined to make this a better world for both animals and humans through word and deed. It’s a beautiful road to travel and one much worth our time and our support. Elaine, I would like to express my thanks for sharing Animal Rescue Corps with all of us. You can follow Animal Rescue Corps on Facebook and their website to stay up to date on their missions. I would like to leave you all with the Mission Statement of Animal Rescue Corps. When You Look Down and See DoG, Do You also See GoD? Saving a Life and a Whale – This is a Feel-Good Story! Elaine is so kind, and so UN-self-centered. She uses her position to protest fur, for example, so people learn that wearing fur is unconscionable. Anyone who devotes so much effort to shutting down puppy mills, saving creatures from lab experiments, and protesting animals as food is the kind of person I want to see more of in film and TV. Thank you for a fabulous article! Thank you so much for your kind words and for showing your support for Elaine, ARC and the article. I couldn’t agree with you more about this wonderful lady. Elaine has the courage of her convictions. That is a quality that I value so much in a human being. I totally agree that we have NO reason to wear fur. This is not the stone age when the textiles to keep us warm have not been invented. We have absolutely no need to wear it. It makes my heart smile to see high profile people who are willing to take a stand for what is right, humane and good. Elaine does that on a daily basis. It is who and what she is. I love it. I’ve had the opportunity to speak with Elaine regarding her humane initiatives and she is everso genuine – the real thing. She’s also highly intelligent and obviously beautiful. I’d be jealous if she weren’t so kind. Go team ARC/Animal Rescue Corps. I know exactly what you mean, Georgette. It’s just an incredible thing to see. ARC is just amazing in every way then add Elaine to the mix and they are unstoppable. 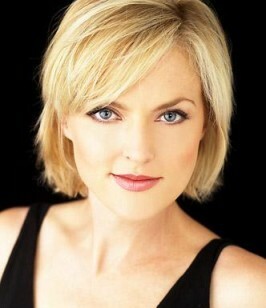 A beautiful nterview with the beautiful, compassionate Elaine Hendrix. Being one of Animal Rescue Corp.’s volunteers, I can attest to the fact that Elaine is the real thing; she walks the walk! I have seen her shaving poor matted dogs, helping with veterinary needs, actually catching dogs and cleaning cages. Her love for all animals is evident and I am proud to work along side of her with the amazing ARC and happy to call her my friend. Dog bless Elaine! Thank you so much, Patty and thank you for being a volunteer for Animal Rescue Corps. Your work is so appreciated and totally priceless. Elaine is truly a special, compassionate woman who has no fear of being totally hands on in her passion for rescuing abused animals. Thank God! She sets an amazing example as do all of you who get out there and rescue our most helpless furry friends. I too am proud to know Elaine. Great article, Theresa. I enjoyed learning about ARC and Elaine Hendrix’s work to save these animals. It’s unfathomable to me how cruel people can be to these sweet, innocent babies. On Wednesday we did a show about animal rescue, in particular, networks of truckers and pilots who transport animals (all breeds) to safe havens. One is called Operation Roger (truckers: http://operationroger.rescuegroups.org/). Another is called Pilots-N-Paws: http://pilotsnpaws.org/. We found out about them per an article by Laura Coffey on Today.com: http://tinyurl.com/8y5ckoz. Thanks very much for sharing this touching and personal side of Elaine Hendrix. Count me as one of her newest admirers. Thank you so much Kay. It is a cause and Elaine a person that I believe in wholeheartedly. I’m grateful for the privilege of sharing both with others. An absolutely wonderful article about Eliane and her hard and valuable work! thanks for this Theresa! Thank you so much Alan. She is an amazing woman and it is such an incredible organization. It is totally my privilege to share them with everyone. She’s a wonderful actress. To know that she’s such a devout humanitarian makes me love her even more. What a wonderful interview and thanks SO much for sharing, Theresa! I agree Carol. She’s really a most awesome woman. She’s so completely devoted to animals and human rights and sets such an amazing example.